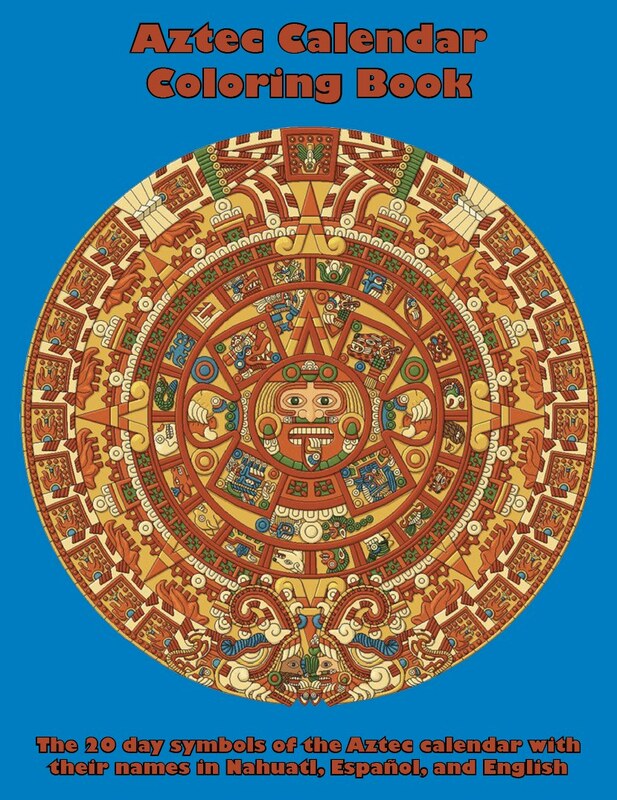 We are excited about this—our second publication, an Aztec Calendar Coloring Book that contains the 20 day signs/symbols of the tonalpohualli, day count of the sacred Aztec calendar. 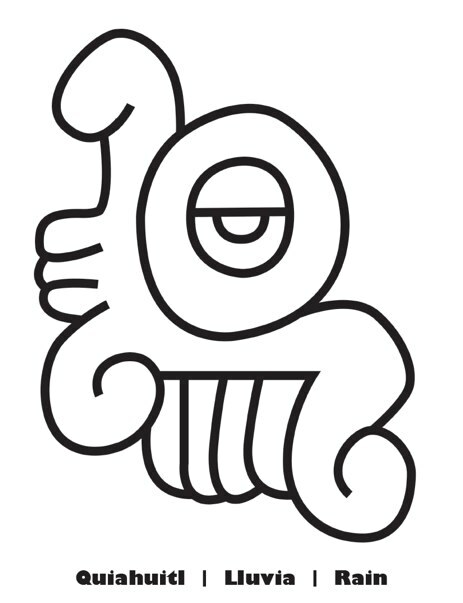 Each symbol is accompanied by its name in three languages: Nahuatl, Spanish and English. The graphics (enhanced line drawings) are simple, beautiful and powerful—a meaningful opportunity for learning and creativity for all children. The coloring book will be available by the end of this month, and can be purchased here at PayPal for $10, plus S&H. Thanks for supporting independent press.